Ok, so I am excited, super excited, why? Well I have just interviewed my first every Sir, yes a real live bone fide Sir. He is, of course, incredibly funny, witty, knowledgeable, friendly and modest, in fact Colin probably hates the fact that I’ve called him Sir (sorry Colin), but it’s pretty exciting. So why did I put Colin through a grilling? All in the name of bringing you the latest information of course. Colin is the Editor of (the so shiny and new it hurts) Whisky Quarterly Magazine. Another whisky magazine I hear you sigh, well not really no. This is very different. This is luxury cranked up all the way to 11! With an official launch party on Thursday 15th January, I set out to find out more. Tell us a little about your background Colin? My career in whisky really started through my career in photography, I started working with the Scotsman in 2001 and from there I moved to London and did some work for the Times and the FT as a photographer initially, and then I started to take photographs around Distilleries and Wineries, I was also working in wine as well as whisky, and from there I got asked to start writing as I was visiting these distilleries a lot. I then wrote my first big feature for a publication called Lux which is owned by the Editor in Chief of Conde Nast and they liked it and published it and then I went from there really. I got introduced to the other Conde Nast publications, and I started writing for other magazines like The Partner which is for senior lawyers in London. I was a quantity surveyor and I just got incredibly bored and just hated it, and so there was the phone call back to my parents (I was working in Glasgow at the time), asking if I could come home and they said that’s fine and they wanted to know how long I was staying, at which point I broke the news that I wasn’t really sure and no longer worked for the quantity surveying company anymore. They said that it was fantastic and asked who I was working for instead and then I dropped the news that I wasn’t moving to another job and that their 30 year old son was moving home. I already had a strong interest in photography and had lived in Africa on and off for many years and on the continent for a few years and as such I had a good amateur photography portfolio. Within a week of moving home I phoned up the Scotsman, and asked them if they would take a look at my portfolio, I wasn’t necessarily looking for a job, but I respected their photography enormously, and wanted to know if I should I go back to the day job or do I start to pursue photography as a job. They said for me go in and I took my portfolio, and luckily they not only liked what they saw but were also hiring at the time and they took me on. I stayed with my mother and father whilst I established myself as a news photographer for about a year. I trained whilst I worked and learnt so much. How did you hear about this new whisky magazine? I’ve known Krzysztof (the publisher) for about six years, he came to a gallery show of mine in London (I have a gallery that represents me) and I was introduced by a friend who was doing some work with Krzysztof within the wine industry, he was buying and drinking fine wine, and my friend was helping him with this. He bought one of my pictures and we struck up a friendship. I flew out to Poland to visit along with my wife, and we got to know his family very well and became good friends over the last four or five years. About a year ago he asked me if I would help him with his whisky collection. 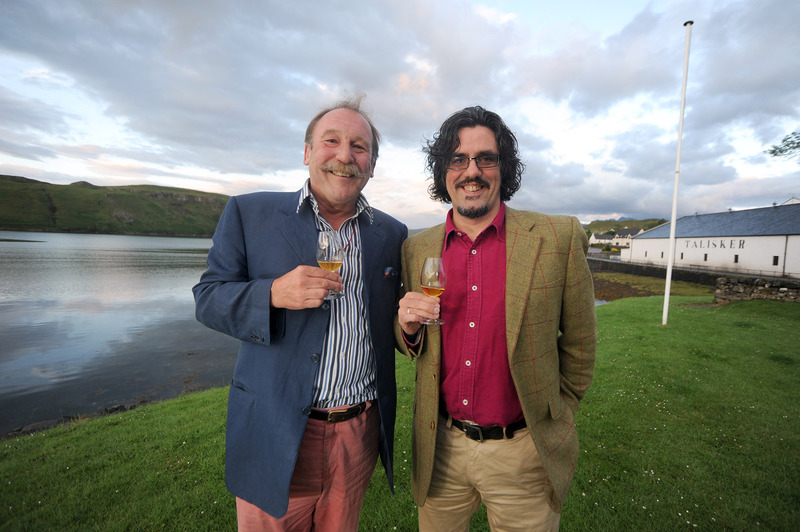 He knows quite a lot about whisky and he needed someone in the UK to help consult on his already broad knowledge. He was buying quite a lot of old casks and he wanted some help with that and from there he started talking about wanting to do a magazine. Once he had solidified his ideas for the magazine in Poland he asked me if I would be his Managing Editor, which I was happy to do, it was a fantastic magazine, a quality product, luxury magazine and I said yes. Then, come last September, he was thinking about putting out a magazine in the UK and so we looked at what type of magazine that would be, what type of whisky magazine. There are a few magazines out in the UK, Whisky Magazine being the most prolific and the most popular and then there are other magazines, Unfiltered and Whiskeria and of course there are some others as well. We looked at the other whisky magazines and realised that several of them were retail magazines, such as Whiskeria, which is produced by The Whisky Shop, and it’s a great magazine, it’s very well put together and has some great contributors but it really is talking about product for their customers. We decided we didn’t want to do that and we aren’t affiliated to any retail outlet. Then you have Unfiltered although they do have other articles in it. Then we looked at Whisky Magazine which has some very interesting things in it, some great articles and some great writers but it also has quite a lot of whisky advertising within it, so we decided that we should launch a quarterly magazine and we wanted it to be a magazine that was not just for people that were already massively into their whisky and maybe already reading publications like Whisky Magazine, we wanted to target a very different market, a high net market which will enable us to then sample higher end whisky. We won’t only be talking about very expensive whiskies, we will be talking about whiskies that are good, and that doesn’t always mean expensive, however, we wanted to be able to talk about some very expensive whisky without losing our readership and feeling that the readership were completely out of touch with the subjects we write about. The audience need to be able to afford the whisky we talk about, should they so wish to go and try it. We’ve decided not to have any whisky advertising whatsoever. We didn’t want anybody to read an article about (for example) a Lagavulin and then four pages later see a full page, high colour advertisement for another Diageo product. Anybody who knows a lot about whisky would feel slightly let down, or maybe disillusioned with the review and think that it’s no longer impartial. That’s not to say that you can’t be impartial and still have whisky advertising, but this way there is never any doubt. There will be some advertising but it will be other high end luxury products but there will be no advertising at all for the first two issues, and the reason for that is, we really wanted to be able to understand our readership, and there is no point in putting in advertising for jewellery (for example), if our readership isn’t interested in that. We want to understand our customer’s needs, we won’t just accept any advertising, because we are being paid to do so. We want good advertising targeted towards our readership and their lifestyle. Our main aim for the magazine is that it is editorially lead and we keep the quality and luxury. The magazine itself is of the highest print quality, from the paper, to the ink, to the writing involved. We want it to fulfil the meaning of Luxury, you could buy a car for £10,000 and that’s a necessity. Or you can spend £250,000 on a car that may not be worth that, but it’s a luxury item and you have it because you want it. This is the same, there are other whisky magazines out there, and this isn’t aimed at everyone, but for the people that subscribe we want them to feel that they have a luxury product. Do you know what your demographic will be, or will that be a learning curve? It will be a bit of a learning curve, we have a financial demographic and we are printing a very limited magazine, there will only be a print run of approximately 1,000 copies and it is likely that they will reach high net worth individuals with the majority (but not all) of them being on the Rich List. How will you find your target readership? We’ve had some interest already and we have target our market as well, there will be some outlets which will stock the magazine, more so in London (but also, and we are not saying which yet) there will be some hotels and high end retailers in wine or whisky, that won’t retail the magazine itself, but will have copies there for their clients to have a read of whilst they are in the shop. It will be available in a maximum of four maybe five places. It would be nice to see it come North of the Border if there is going to be a tie in with luxury hotels and bars. There are some very smart hotels in Edinburgh and Glasgow, in fact all over Scotland, and some fantastic bars that are associated with whisky and retail outlets too, and that is something we will be looking at. We will think about which will be the most appropriate for the magazine and then approach them to get their thoughts. One thing we will do is keep around 200 copies to send to key people within the industry. I think if we want to ask the industry to help shape the magazine then we should reciprocate that and make sure the industry can keep abreast of what we are up to. We also plan to put the publication online nine months after the publication date, with no advertising planned at this point. What direction to you want to take this publication? Will it always just have a 1,000 limited print run? We want to keep it pretty exclusive, the type of advertising we intend to have is yacht companies etc, and if we dilute our readership then our key readership will become disaffected and then the advertising will lose their target market that they want, and the readers will then lose the advertising that they would be interested in. We do have a target market and we will keep to the 1,000 print run for that reason. Much the same as we do with the magazine in Poland although that is bi-monthly but still 1,000 copies. Will the magazine be sponsoring sporting events or putting events on in line with the high end products it will advertise? At the moment we haven’t really looked past the launch night. I am sure there will be, but we don’t know what or where at the moment, but I am sure there will be. So tell me about the team you will have around you? I’m the editor of the magazine, beyond me there is Krzysztof Maruzewski who is the publisher of the magazine and although he takes an editorial interest he is happy to have no editorial input and has left me and the editorial team here in the UK entirely to our own devices, we sit down and we talk about and Krzysztof talks about it too and is very much part of the team, but ultimately it is the editorial team in the UK that takes care of what goes in and what doesn’t. If at the end of the day there is something unusual that Krzysztof wants to put in, we will sit and discuss it and if it fits then great we will put it in, if It doesn’t then we will explain it doesn’t fit. There are articles in the Polish magazine that won’t be in the UK magazine and the same for the UK magazine too. 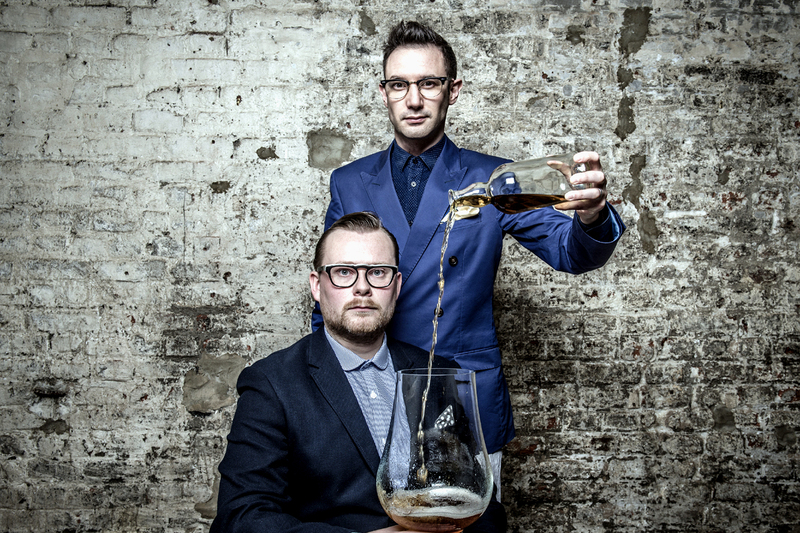 We also have Joel Harrison and Neil Ridley of Caskstrength.net (amongst many other projects) as deputy editors. That’s interesting, so did they come as a team, like Ant and Dec? I think that they are definitely seen as individuals and bring very different energies to the role, which is fantastic and we are very lucky to have them both, just as we would have been lucky to have either of them, but they fact that they are both on board is fantastic. (nb, this way you don’t have to worry about any conflict of interest between them both, or taking time away from their joint projects). Yes, there was the concern that if either refused because they were unable for any reason, then we would have lost out on both of them, but as soon as we asked them, they said yes immediately, and they definitely work fantastically well as a team. We also have Annabel Meikle as our Features Editor, who comes with a wealth of experience. We are very pleased to have Alwynne Gwilt (Miss Whisky) working as our staff writer. I think for a while Alwynne had gone back to writing mainly online, and whilst that is great, we thought she really ought to be in print as well as online. We like Alwynne’s style of writing, she’s very knowledgeable and put in a lot of hard work, she’s spent the time visiting the distilleries in Scotland and talking to people, and we thought that we would love to have her writing for us and luckily she said yes. Ian Buxton and Charles Maclean and Dave Broom will be regular contributors to the magazine also. As we are quarterly publication, working in different markets then it allows us to have such fantastic staff around us, without a fear of conflict of interests. Are you nervous about this new venture and any challenges it may bring? Funnily enough I’m not, I am actually quite relaxed about it all, I’m very happy that it is quarterly though, or else there would be a lot more pressure on us all. Was there a particular reason that it will run quarterly, is it to fit around the team’s prior commitments? We thought that the target market is incredibly busy, and a magazine which changes monthly would just be too frequent. They wouldn’t have read the first one before the second edition comes through the door. Which is a challenge I face too, I read Whisky Magazine and Decanter Magazine and I get Private Eye, and now I store them up to read on planes, as I just don’t have the time to read all these magazines. It just so happened that a quarterly magazine worked out very well for us with our schedules as well, as we are all very busy working within different projects. So will the first copy actually launch on 15th January 2015? We will have the magazine at the party, it has just come off the presses as we speak, and I haven’t seen a physical copy yet. There will be one or two copies available for people on the night to have a look at a get a real feel for the publication. What format will the launch night take? We’re hoping for a lot of fun, Krzysztof is bottling one of his oldest casks, which is a 12 year old for us all to drink on the night, there will be lots of whisky cocktails, prepared by a fantastic company call Soul Shakers. There are about 300 people coming, we have a fantastic band, which Sam Simmons (The Balvenie) is leading and is made up of Rob Allanson, Cat Spencer and Simon Roser, and I think Nick Morgan is helping out by playing a mean guitar and Neil will be joining them on keyboards. We will have a good mix of people coming, PR people, drinks industry people, people from the drinks industry charity, sommeliers, mixologists, I also have a couple of film directors coming, we will have event filmed as well. Of course I’ll be there, as will Neil and Joel, Ian Buxton and Charles Maclean. Are there any other plans for the magazine? We hope that once we are established, we will have a page where we can showcase new talent that primarily writes online. They will have the chance to write in print and bring their own perspective and views into the magazines. Have a different person each time to write about a different subject. It will be nice to be able to include an opinion piece, out with the staff team itself and we already have ideas of the people we would approach for this. How will the consumer subscribe to the magazine? It will be subscription by application, in order to make sure that we are finding the best fit between our readership and advertisers. We want to keep to our target market and ensure that our subscribers have that genuine love of whisky. Advertising will also be by application, we wouldn’t reduce our target market, just because we are offered money. We want to make sure that our readership are genuinely interested in the advertising the magazine contains. 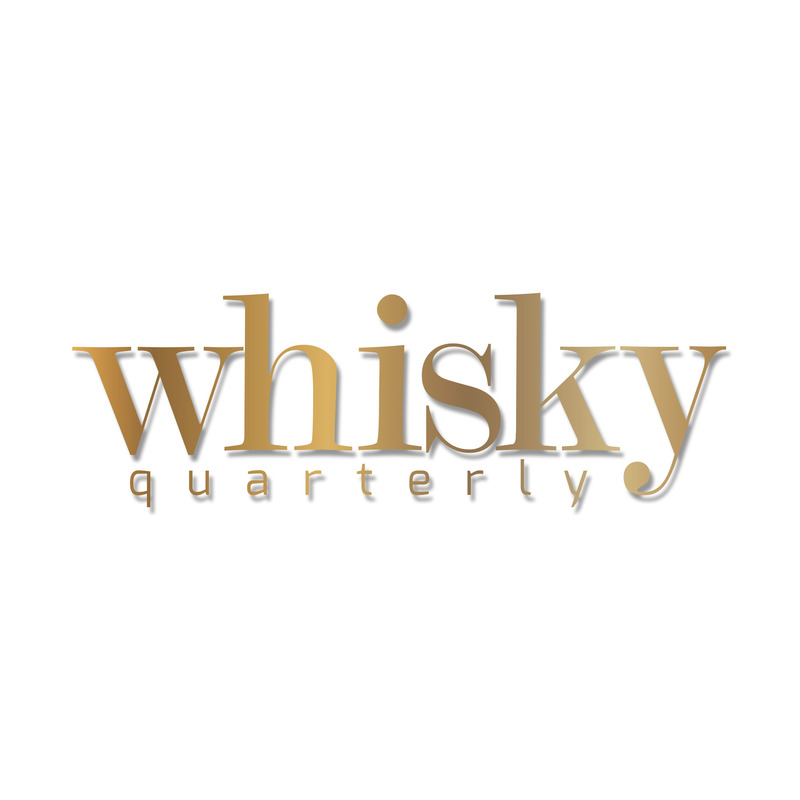 What do you think will make Whisky quarterly a success? Aside from the excellent writing, the fantastic team of writers and the luxury of the product itself. 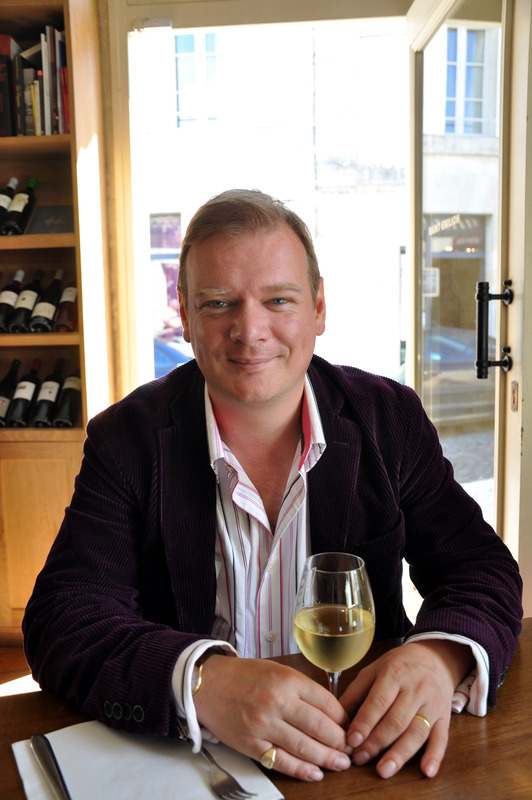 We are very lucky with Krzysztof as our owner, it’s no secret that it takes very deep pockets to get a magazine up and running, especially with no advertising for six months and having no whisky advertising at all. It’s a huge leap of faith and we are lucky that Krzysztof is quite relaxed and believes so much in the product. What are the biggest risk factors for Whisky quarterly? The biggest risk factors for any magazine is that you do not get the subscriber base you are looking for, which luckily is unlikely in our case, as we already have so much interest from our target market. Or that the advertisers don’t feel that it’s a magazine which they want to advertise in, but again this is unlikely to happen as we already have business that are interested. I imagine that the magazine will exist In more than two Countries, but I think that it will stick with its primary objective of sticking to 1,000 copies in each territory and in doing that and once the business is set up, the only way that business can continue to expand is by moving territory rather than trying to increase the subscription. As soon as we are stable in one country then there are some obvious targets in mind. We are clear that should we move into other countries it won’t become a franchise. It will always be printed by Stilnovisti. Thanks Colin, I think that concludes the interview, we are really looking forward to seeing you Thursday for a catch up and what promises to be a great party! !